DS Marcella Backland (Anna Friel, Pushing Daisies) left London's Metropolitan Police to raise her children. When her husband leaves her, she returns to her job on the murder squad. Struggling to cope with the changes in her personal life, she experiences blackouts and extreme rage. With Nicholas Pinnock, Laura Carmichael, Jamie Bamber, and Sinéad Cusack. "A fiendish puzzle...crafted to keep viewers guessing"—Independent (UK). 8 episodes, 6 ¼ hrs, 2 DVDs, SDH. Mature audiences. Pregnant police detective Marcella Backland pulls back from a multiple murder case and ultimately quits the force for the sake of her family. Ten years later she returns to her work but so too, it would appear, has the killer. Grace's disappearance plunges the Gibson family into a state of panic, while Marcella scours footage trying to make sense of the events of the previous evening. Meanwhile, Cara's thievery puts her in danger. Marcella is terrified when Grace's body is found and tries to hide the fact that she was one of the last people to see her alive. Sylvie is distraught at her daughter's death and shocked to learn of her affair with Jason. An attack on an elderly man gives the police a new lead in the Grove Park case. Fearing he may have seen her on the night of the murder, Marcella searches for the taxi driver who was outside Grace's house. Mo holds the police responsible for Hassan being shot, Marcella finally gets the information she has been seeking regarding the death of Grace and deliveryman Ronnie is about to make the mistake of his life. 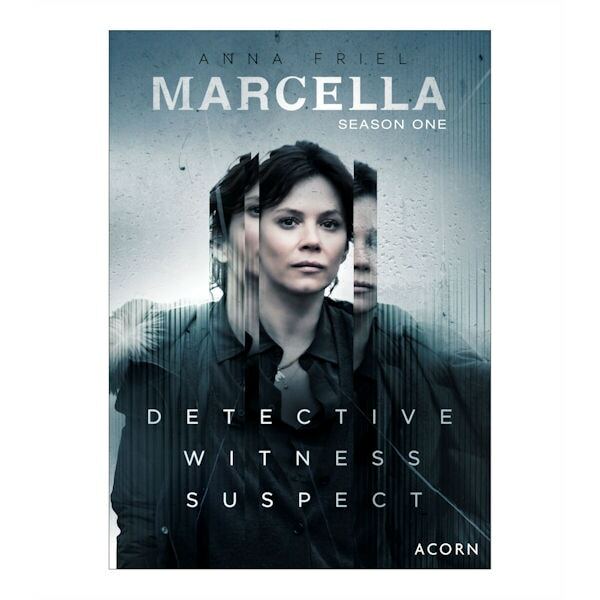 Marcella is devastated when the killer targets a 6-year-old girl, but then a DNA match gives the police their strongest lead in the case. Meanwhile, Williamson investigates Andrew Barnes' death. After finding his brother dead, Mo confronts Marcella as the police continue to investigate Yann. Meanwhile, Tim investigates the death of Andrew Barnes bringing him into contact with Jason. In her desperate hunt for Matthew, Marcella questions Henry at his home. Tim's investigation into the murder of Andrew Barnes increases the pressure on Jason. Starring Anna Friel, Nicholas Pinnock, Ray Panthaki, Sinéad Cusack, Nina Sosanya, Jamie Bamber, Harry Lloyd, Laura Carmichael, Jack Doolan, and Maeve Dermody.